Home ▸ Blog ▸ Hola, Barcelona! Again, I'm packing for Drupalcon. This year the most important European Drupal event will take place in the unique city of Barcelona. This year's conference will be marked by the long-awaited release of Drupal 8 and it's expected that the launch of Drupal 8 Release Candidate to occur right during the Drupalcon, in Barcelona. 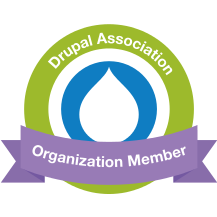 I'm a contributor to Drupal 8 and I'm very excited about the huge transformations that this release will bring to users, business and developers. Drupalcon is an international event that brings together those who use, develop, design and support the Drupal platform. Drupalcon Barcelona 2015 will host dozens of sessions and panels from some of the most influential people and brightest minds within the Drupal community and beyond. The conference was always the opportunity for networking, informal conversations and contributions to Drupal. I attended most of the European Drupalcons since 2008. Drupalcon Szeged was followed by Paris (2009), Copenhagen (2010), London (2011), Munich (2012), Amsterdam (2014).